Because we believe that everyone should get the best value in travel. 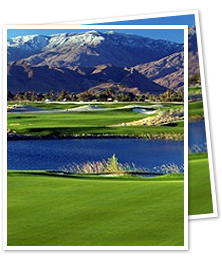 We guarantee the lowest rates on golf school packages, airline, hotel, rental car and all inclusive golf packages. Chances are you’re tired of playing the same old game of golf. 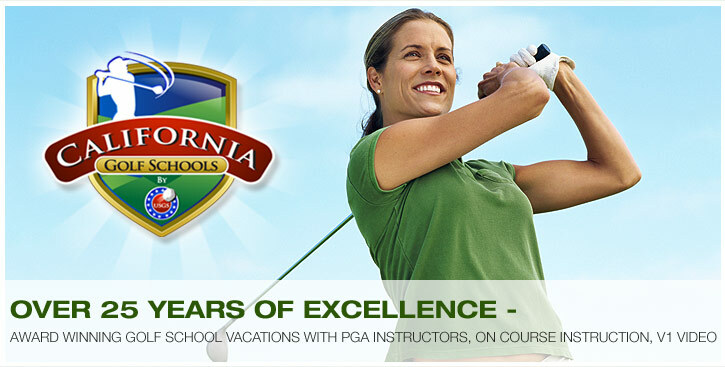 If your efforts to improve have met with frustration, know this: the California Golf Schools will bring about dramatic changes in the way you think and play golf. PGA, LPGA, & PGTCA trained instruction communicated in a simple, understandable, and concerned manner gets results. You will acquire a foundation built on lasting fundamentals, a golf swing with just a few basic thoughts, and dramatic improvement in your game! Why Attend a Golf School? Why didn’t my pro back home tell me that?” That question and ones similar are heard frequently during the course of our golf school programs. Why didn’t he? The answer may be simpler than you might expect. Add to that the widely-divergent needs of countless individual members and the nettlesome, but necessary activities such as, inventory and managing a golf staff and whatever other duties that may surface in day-to-day operations. It is no wonder that he has less time to spend on developing good teacher/communication skills for teaching the game of golf.